Renaldo Facey, 18-year-old resident of the inner city community of Denham Town, in Kingston, and upper sixth form student of Wolmer’s Boys’ School, is on the right track to realise his dream of becoming a medical doctor. Renaldo has achieved grades one at the Caribbean Secondary Education Certificate (CSEC) level in Biology, Chemistry, Physics, Human and Social Biology, Additional Mathematics, Principles of Accounts, Literature, English Language and Mathematics. He also has five grades one in the Caribbean Advanced Proficiency Examination (CAPE) unit one subjects: Chemistry, Biology, Physics, Entrepreneurship and Communication Studies. On Tuesday, November 28, Renaldo was awarded a scholarship from the Board of Supervision’s Outreach and Welfare Committee, in collaboration with the Poor Relief Association, at an Awards Ceremony held at the Mona Visitors’ Lodge in St. Andrew. 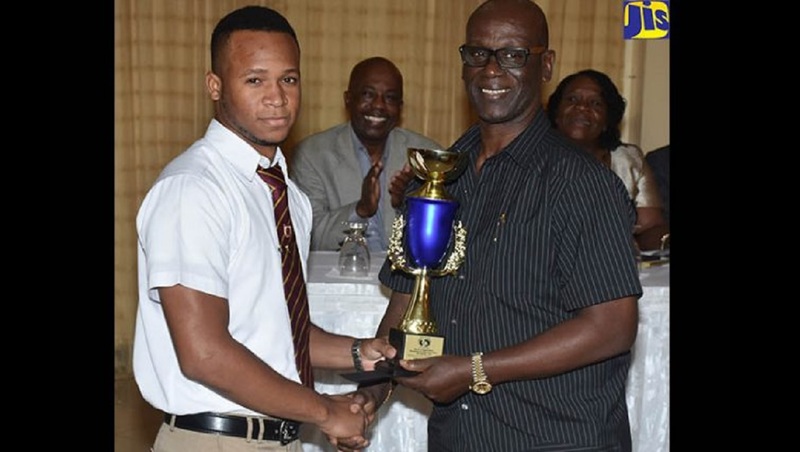 Present at the awards ceremony was Minister of Local Government and Member of Parliament for Western Kingston, Desmond McKenzie, who committed to pay the full cost for Renaldo to pursue his Bachelor’s degree after he completes sixth form at Wolmer’s in 2018. 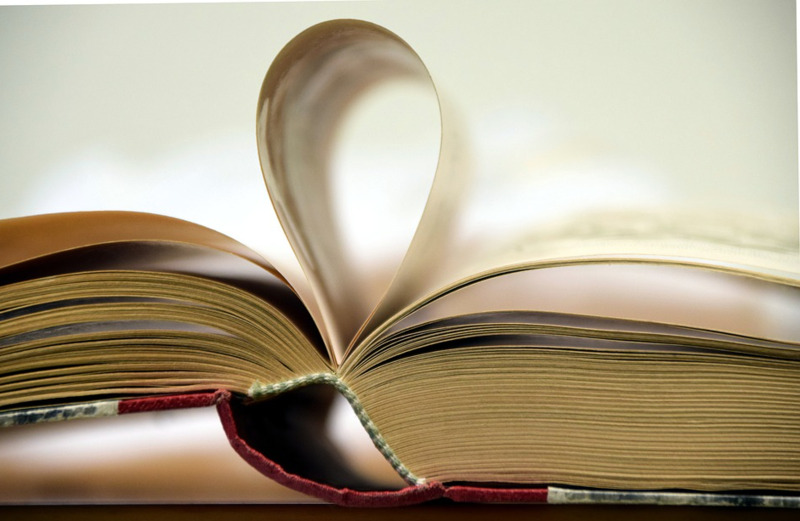 “I got a letter from him, and he wrote that letter from his heart. Perhaps the area that touched me most was when he mentioned the challenges he encounters living in Denham Town, and the fact that he did not allow this to take away or to distract him from what he wanted. My commitment to him is that he will never have to ask where the school fee is going to come from to put him through university to achieve,” McKenzie tells JIS News. “There are many more like him in West Kingston. I’m very proud of him,” the Minister says, adding that he will also present a tablet to the student. “Many times I sit down and wonder how I and my family will afford the hefty cost of university, and to be awarded like that was just unbelievable. I’m really happy. I’m elated. I’m ecstatic and really grateful,” he says. Renaldo was the top performer for Wolmer’s Boys’ School in the 2016 sitting of the CSEC examinations. He also ranked third in Jamaica for the science subjects. When asked what was his secret to achieving straight As in his CXC subjects, Renaldo says he has been working very hard and overcoming the challenges. “I want others to believe that they can be successful regardless of what they may be facing,” he tells JIS News. Renaldo says he is receiving strong support from his mother, Ellisa Lambert, and is currently exploring his options as to where he can pursue his undergraduate degree. 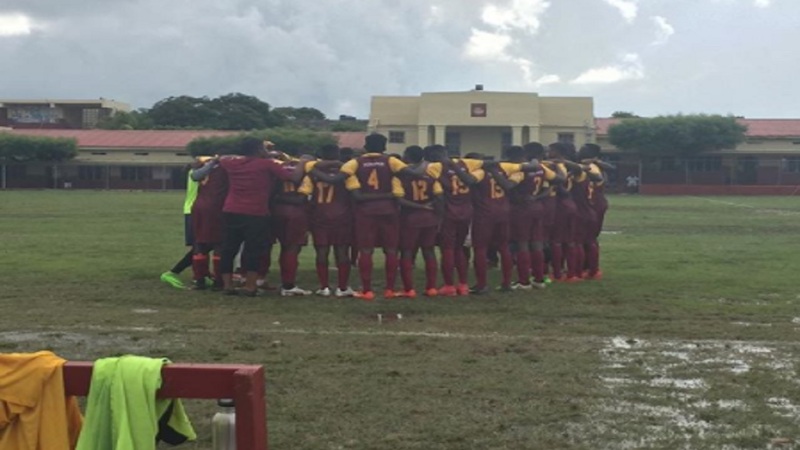 “The University of the West Indies was my first choice, but since recently, I’ve been widening my horizon and looking at universities abroad, so that might be an option as well,” he notes. Renaldo says he wants to become a medical doctor because the profession will give him the ability to help others in need, especially others living in inner city communities. “Last summer, I worked at the Bustamante Hospital for Children in the radiology department and just seeing how the doctors were able to use the knowledge which they attained in the medical field to help sick people, I was really inspired and that really bolstered my desire to pursue a career in that field,” he tells JIS News. Renaldo says his drive comes from wanting to make his single mother and community proud of him.